Technical skill is crucial when it comes to quality dental work, but at Cedar Creek Dental, it doesn’t stop there. 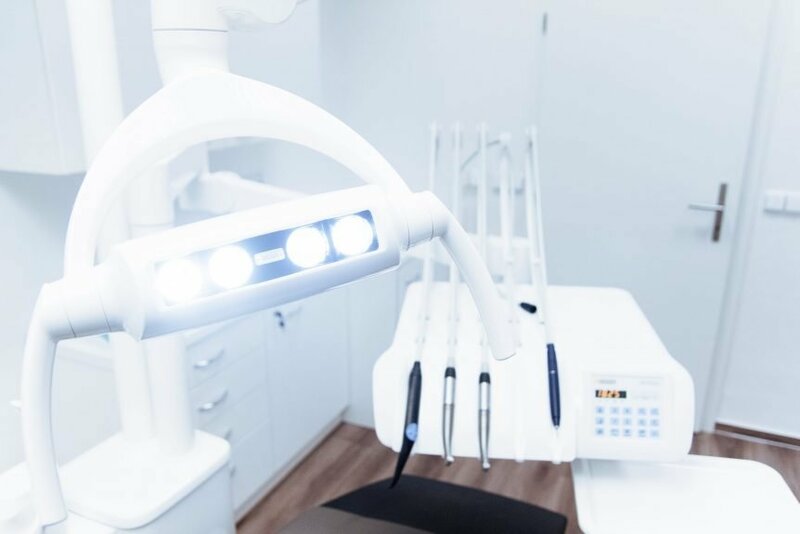 The friendly staff at their dental clinic is attentive to the concerns of their patients, knowing just how much anxiety can come with a dental appointment. After all, the teeth are some of the most sensitive parts of the body. It’s no wonder the thought of someone poking at them with various instruments is enough to make their skin crawl. In fact, many people put off much needed dental work for this very reason. Over time, their dental problems simply get worse, making treatment even more complicated (and costly). Their office also includes wall-mounted TVs, so you can relax and zone out while your dental services are being performed. Best of all, it’s all free with your appointment! Not only do these services help mitigate the anxiety that many people feel regarding dental work, they are also ideal for young children who are new to dental procedures in general. Once your appointment is over, they’ll send you off with a Mango sorbet. Or you can choose from a variety of other yummy flavors! Schedule regular appointments with your dentist is the best way of ensuring the long-term health and strength of your teeth. These services will determine which dental problems you have, as well as identify problems that might develop in the future. After all, the best way to solve a problem is to prevent it from showing up in the first place. Cedar Creek Dental provides resin-based fillings, combined with the skills required to ensure strong, long-term adhesion. They use resin fillings because they are both aesthetically appealing and healthier for your body, as they contain no heavy metals or other toxic materials. Dental crowns look and feel like natural teeth. They are used to repair damaged or decayed teeth, restoring them to their original appearance and strength. At Cedar Creek Dental, your crown will be completed in a single appointment. That means no going home with a temporary crown that runs the risk of falling off. You will leave their office with a complete, high quality crown. Their procedure is simple. Depending on the amount of healthy tooth structure you have remaining, they will develop the perfect crown for your tooth. They will prepare your tooth for restoration by removing loose, damaged, or decayed tooth tissue. Once that is complete, your crown is ready to be installed. Cedar Creek Dental will install wafer-thin dental shells over your teeth. This form of cosmetic dentistry is used to cover stained or misaligned teeth. These veneers are also stain-resistant, and reflect light, giving you a truly radiant smile! Whether you’ve lost a tooth due to damage, injury, or decay, Cedar Creek Dental will install a dental implant that will solve any of the problems that come with missing teeth. Their dental implants look, feel, and operate like natural teeth. The problems that come with missing teeth go beyond the mere toll they take on your aesthetic appearance. They can also result in chewing problems, which in turn result in digestive problems. Cedar Creek Dental’s dental implants will improve your appearance, your health, and your confidence. With the right skill and technology, root canals don’t have to be the nightmare they once were. At Cedar Creek Dental, your root canals will be performed safely, cleanly, and professionally. Root canals are required when teeth have undergone decay to the point that recovery by other means is impossible. When cavity treatment is put off for too long, cavities can develop into infections. Root canals are not only required when cavities over-develop, they can also be required when damage has occured due to injury. Bridges are the ideal way of bridging the gap of missing teeth. They’re especially useful when you have a missing tooth sitting next to a tooth that needs a crown. Porcelain bridges kill two birds with one stone, so to speak. They will restore your smile’s aesthetic appearance, utility, and health. Also referred to as “gum disease”, this problem occurs when bacteria thrives in the teeth and gums, creating inflammation of the gum tissue. Not only do your gums become swollen and painful, your teeth also become loose due to this inflammation. Bleeding easily occurs with brushing as well. Cedar Creek Dental provides non-surgical methods of treating periodontal disease, such as scaling and root paining, as well as host modulation. It’s always better to remove wisdom teeth sooner rather than later. The longer they grow, the more problems they end up causing. Wisdom teeth can impact surrounding teeth, creating infections and activities. They can also displace surrounding teeth, leading to misalignment. The longer wisdom teeth go without being removed, the more complicated the procedure becomes. Cedar Creek Dental will remove your wisdom teeth in a safe and professional manner, saving you pain, problems, and money in the long-term. Cedar Creek Dental is dedicated to the dental health of their patients, as well as their mental well-being at the time of their appointment. Their services are conducted professionally in a comfortable, relaxing environment. If you need to schedule a dental appointment, contact Cedar Creek Dental today! SolidWheel.com > Dental > Why Choose Cedar Creek Dental?